Our purpose on this earth is not one single event, an accomplishment we can check off a list. There is no test. No passing or failing. There’s only us, each moment shaping who we are, into what we will become. Sigh, what a beautiful novel. 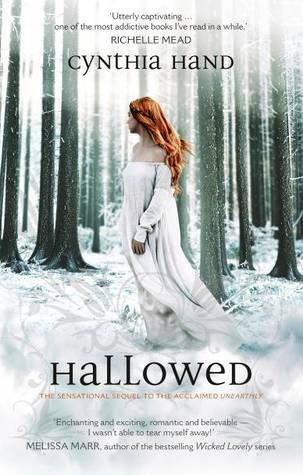 Hallowed is the 2nd instalment of the Unearthly series by Cynthia Hand and follows Clara, a part angel on her journey to fulfil her purpose on earth. This isn’t a fast paced book, but the lack of intrigue and action is greatly made up by its solid characters and strong, well constructed relationships. This book continues where Unearthly left off with Clara purposefully choosing to fail her purpose by choosing to save Tucker and now working out how to deal with Christian and the fact that he is also an angel blood. While dealing with that she also has her new relationship with Tucker and a majorly pissed off Black Wing who could return at anytime. The love triangle between Christian, Clara and Tucker is a very central part to this book but the triangle is done well – you can really understand and empathise with the wavering feelings Clara has throughout the book. When I finished Unearthly I thought Tucker and Clara were absolutely perfect together, if you had told me that Christian was in anyway a contender I would have flat out laughed. Here I am now seriously wanting her to somehow magically get to have both guys because Christian didn’t just grow on me in this book I totally love him – he is so perfect in such a completely different way to Tucker. I have no idea how this triangle is going to pan out but I think I’m going to be sad one way or another! Aside from show casing a strong love triangle, Hand also delves deep into the mother, daughter relationship and I’m not sure whether its because I quite recently lost my own mother, but I found this relationship beautifully depicted. I found out when reading the acknowledgments that Hand was pregnant with her baby daughter while writing this novel and I think all those pregnancy hormones definitely kicked in and helped her deliver a wonderful, emotionally driven story. I sincerely hope she has as strong a relationship with her daughter as Clara and her mother have in this book – I loved reading every minute of it even though it was so incredibly sad. This is not an easy book to read at times, infact the depth of emotion and sadness that I felt in parts made this in some ways a hard read even though I rated it so highly. 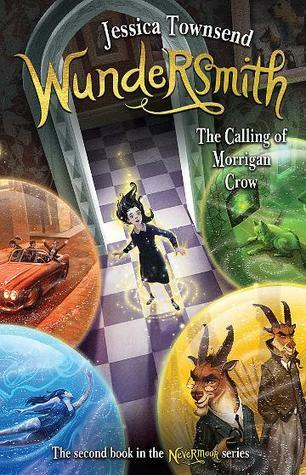 I wouldn’t recommend this to someone who is after something fun filled, this book definitely requires tissues though please don’t let it deter you from an phenomenal series! – Beautiful book but very sad so have tissues handy!